This article is about the former Soviet research station. For the geographic features, see Pole of inaccessibility. The Pole of Inaccessibility Research Station (Russian: Полюс недоступности) is a defunct Soviet research station in Kemp Land, Antarctica, at the southern pole of inaccessibility (the point in Antarctica furthest from any ocean) as defined in 1958 when the station was established. Later definitions give other locations, all relatively near this point. It performed meteorological observations from 14 to 26 December 1958. The Pole of Inaccessibility has the world's coldest year-round average temperature of −58.2 °C (−72.8 °F). It is 878 km (546 mi) from the South Pole, and approximately 600 km (370 mi) from Sovetskaya. The surface elevation is 3,800 meters (12,500 feet). It was reached on 14 December 1958 by an 18-man traversing party of the 3rd Soviet Antarctic Expedition. Its WMO ID is 89550. Equipment and personnel were delivered by an Antarctic tractor convoy operated by the 3rd Soviet Antarctic Expedition. The station had a hut for four people, a radio shack, and an electrical hut. These buildings had been constructed on the tractors used during the traverse, serving as accommodation. Next to the hut, an airstrip was cleared and a Li-2 aircraft landed there on 18 December 1958. The outpost was equipped with a diesel power generator and a transmitter. On 26 December the outpost was vacated indefinitely. Four researchers were airlifted out, and the remaining 14 members of the party returned with the tractors. The station was deemed to be too far from other research stations to allow safe permanent operation, so it was left to be used for future short-term visits only. The 8th Soviet Antarctic Expedition visited the site on 1 February 1964 and left five days later. The American Queen Maud Land Traverse reached the Pole of Inaccessibility from Amundsen–Scott South Pole Station on 27 January 1965. The crew were flown out by a C130 on 1 February. On 15 December 1965 a new American crew arrived by C130 to make observations, refurbish the snow cats, and continue the Queen Maud Land Traverse, zig-zagging to the newly installed Plateau Station, where they arrived on 29 January 1966. The 12th Soviet Antarctic Expedition visited the site in 1967. On 19 January 2007, the British Team N2i reached the Pole of Inaccessibility using specially-designed foil kites. On 27 December 2011, during the Antarctica Legacy Crossing, Sebastian Copeland, and partner Eric McNair-Landry, reached the Pole of Inaccessibility by foot and kite ski from the Novolazarevskaya station, on their way to completing the first partial east-west transcontinental crossing of Antarctica of over 4,100 km (2,500 mi). The station building is surmounted by a bust of Vladimir Lenin facing Moscow. as of 2007[update] it is almost entirely buried by snow, with little more than the bust visible. Following a proposal by Russia to the Antarctic Treaty Consultative Meeting, the buried building and emergent bust, along with a plaque commemorating the conquest of the Pole of Inaccessibility by Soviet Antarctic explorers in 1958, has been designated a Historic Site or Monument (HSM 4). ^ Crowder, Bob; Robertson, Ted; Vallier-Talbot, Eleanor; Whitaker, Richard. Weather (Revised and updated ed.). William J. Burroughs. p. 59. ^ Nudel'man, A. V. (1959). Soviet Antarctic Expeditions 1955-1959. Moscow: Izdatel'stvo Akademii Nauk SSSR. ^ "Catalogue of Russian Federation Antarctic Meteorology Data". Laboratory of Ocean and Climate Antarctic Studies, Arctic and Antarctic Research Institute. Retrieved January 29, 2013. ^ А.С. ЛАЗАРЕВ (December 16, 2008). ДОСТИЖЕНИЕ ПОЛЮСА НЕДОСТУПНОСТИ (in Russian). ^ a b "Norwegian-U.S. Scientific Traverse of East Antarctica". ^ "Glaciology of the Queen Maud Land Traverse, 1964-65 South Pole - Pole of Relative Inaccessibility". ^ a b "Team N2i successfully conquer the Pole of Inaccessibility by foot and kite on 19th Jan '07". Retrieved August 16, 2011. ^ "List of Historic Sites and Monuments approved by the ATCM (2012)" (PDF). Antarctic Treaty Secretariat. 2012. Retrieved October 24, 2013. Showa Station , sometimes alternately spelled Syowa Station, is a Japanese permanent research station on East Ongul Island in Queen Maud Land, Antarctica. Built in 1957, Showa Station is named for the era in the Japanese calendar during which it was established, the Shōwa period. Børge Ousland FRSGS is a Norwegian polar explorer, photographer and writer. He was the first person in the world to do a solo crossing of the Antarctic. Novolazarevskaya Station is a Russian, formerly Soviet, Antarctic research station. The station is located at Schirmacher Oasis, Queen Maud Land, 75 km from the Antarctic coast, from which it is separated by Lazarev Ice Shelf. 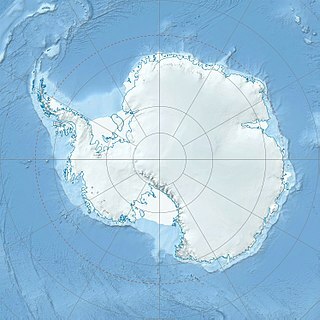 It was opened on January 18, 1961 by the 6th Soviet Antarctic Expedition. The maximum summer population is 70. Antarctica has various places of worship and an increasing demand for religious services and construction of sacred architecture on the continent. In spite of the famous saying "below 40 degrees south there is no law; below 50 degrees south there is no God" the exploration of the continent was in fact closely connected to religious activities with contributions from many adherents. Some of the early religious buildings are now protected as important historical monuments. Christian buildings are the only religious buildings on the continent. Henry John R Cookson, FRGS is a British polar explorer and adventurer. On 19 January 2007 he, alongside fellow Britons Rory Sweet and Rupert Longsdon, and their Canadian polar guide Paul Landry, became the first team to reach the southern pole of Inaccessibility (POI) by foot, the last visitors being a research team using tracked vehicles & planes in 1965. Alain Hubert is a Belgian explorer. He is a certified mountain and polar guide, a civil engineer, the President of the Board and one of the founders of the International Polar Foundation. He is the founder and president of the International Polar foundation. With the Foundation and its private partners, he built and financed the construction of the scientific research station ‘Princess Elisabeth’. This station is the first ‘zero emission’ station in Antarctica, designed under the spirit of the Madrid Protocol establishing in 1992 the strictest environmental rules to date for a continent through the Antarctic Treaty System. The South Pole–Queen Maud Land Traverse (SPQMLT) was a three-part scientific exploration of Antarctica undertaken by the United States in the 1960s. The three parts, referred to individually as South Pole–Queen Maud Land Traverse I, II, and III, traveled a zigzag route across nearly 4200 km of the Antarctic Plateau in the austral summers of 1964–1965, 1965–1966, and 1967–1968. The participants included scientists from Belgium, Norway, and the United States. Their objectives included determining the thickness of the Antarctic Ice Sheet, the elevation and slope of its surface, the rate of ice accumulation, and the subglacial topography. 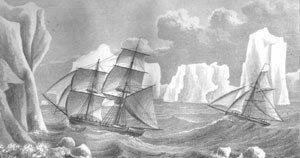 Other objectives included measuring the density and temperature of the ice at depth, measuring the geomagnetic field and gravity, and obtaining snow samples and ice cores.